The Kalamazoo Bicycle Club’s 2018 Friend of Bicycling Award was presented recently to Pedal for their long-standing support of bicycling in the Kalamazoo area. 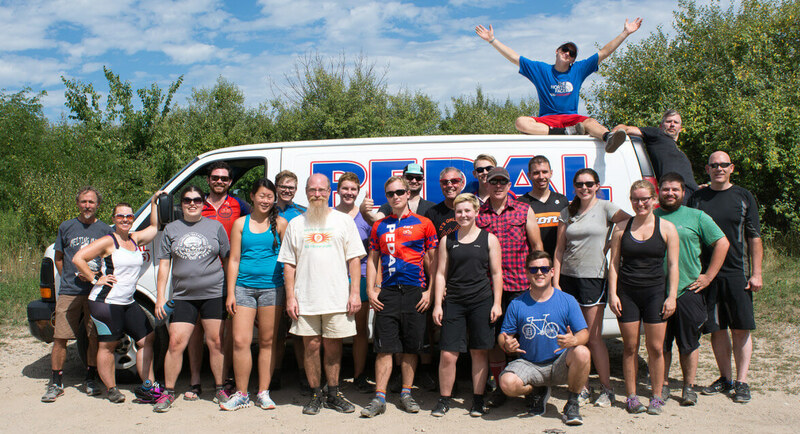 The KBC appreciates and recognizes Pedal’s many laudable activities, including their support for several bicycling organizations: Kalamazoo Bicycle Club, Tri Kats, Southwest Michigan Bike Association, the Kalamazoo River Valley Trail and the Maple Hill mountain bike trail at Markin Glen in addition to providing leadership and assistance with weekly rides. Pedal regularly provides professional mechanics who assist with bike fits at KBC’s annual Bike Camp and provides mechanical support at events such as the BTR Criterium. For more information about the 2018 Friend of Bicycling Award, please see the February 2018 PedalPress.